Welcome to Avivre Consult, your partner for healthcare and social services real estate and operations. You are searching for information concerning Ines Löwentraut, CEO of Avivre Consult? We are glad to present Mrs. Löwentraut to you. In 2005, Ines Löwentraut founded Avivre Consult GmbH based in Bad Homburg; today it is one of the largest and most successful consulting companies in the healthcare market. Every year in November, Ines Löwentraut organizes Avivre Consult Operator Day , an event for service providers, managing directors, regional directors and managers of in-patient care facilities. There are presentations covering topical issues, but visitors also welcome the opportunity to network. 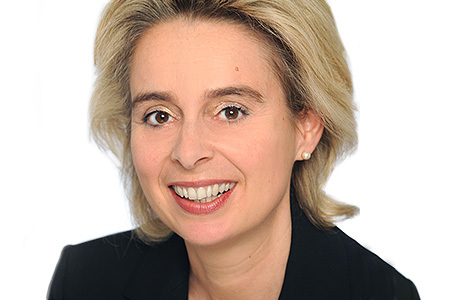 Besides that Ines Löwentraut is CEO of EIC European Investors Conference GmbH and of Avivre Asset Management GmbH. EIC organises an annual networking conference in Frankfurt am Main to connect investors and service providers in the European healthcare market. Ines Löwentraut collected varied knowledge and experiences in economy and in health service in more than twenty years. She focuses on investment banking as well as fund management for institutional clients. In France Mrs. Löwentraut worked in the export-import business and also was responsible for institutional clients. Mrs. Löwentraut speaks German, English and French. It will be a pleasure for Ines to give you advice in a first free consultation. Please arrange an appointment under Phone 06172 / 179 4800 oder write an E-Mail.